Breaking news : Watch out doctors ATO takes aim! Unfortunately, if your doctors or practitioners are affected by the recent Federal Tax Office announcement then your practice may be simultaneously exposed to a significant payroll tax problem. The Federal Tax Office in September 2014 announced that it is reviewing the common use of practice trusts and companies. I like the Tax Office continue to disagree with the use of this arrangement. I note not only doctors but lawyers and accountants are on notice. Surprisingly many advisers continue to struggle with the fundamental concepts of legitimate income splitting arrangements. I will publish my detailed thoughts in the coming weeks. My position has not fundamentally changed since I first published my comments below in 2006. I have reposted my original article below for you to consult your advisers with should you believe you may have a problem. To protect yourself seek written advice and not verbal. Clients who have continued to fully implement our practice agreements, systems and advice (see below) should be less concerned. The ATO’s response together with what accountants in the national media are recommending remains of concern. For many this may lead to a major large payroll tax problem for practices. How do you know you may have a problem? A practitioner who uses a practice trust or company, when consulting patients is potentially at risk. They can be easily identified if the practitioner publishes/uses a trading name that ends with “Pty Ltd”. Alternatively if they use practice trust and they trade as “trustee for” the practitioners trust. Usually you will find these types of descriptions appearing on your practice contracts, letterheads, invoices, brochures or the shop front window name plates. This is a legal requirement. Furthermore the entity should print their practice company or practice trust Australian Business Number (ABN) on any practice stationary. If Medicare uses the practitioner’s individual name, this is not enough, in itself, to conclude there is no issue without considering the above factors. One final point, ATO’s solution of declaring a market wage rate or salary is not as simple as if first may seem. The State Payroll Tax Grouping rules are commonly overlooked and must also be taken into consideration. If you are not sure obtain professional advice or possibly face a very large retrospective payroll tax, super, Workcover and ATO tax bill. Anywhere in Australia, email David Dahm at pa@healthandlife.com.au to arrange a confidential no obligation second opinion. Practice Trusts and Company’s – A risky alternative to service trusts? Problem: Time is running out.. The 1st of July 2006 is around the corner and many practices are tightening up their arrangements in light of the new service trust ruling which we reported in our last news alert. We have received many enquiries about alternative structures to a service trust. The most common structure suggested by well known advisers is to set up a “Practice Trust or Company” as opposed to service trusts. This arrangement has quite a number of large problems and can put throw practices out from the fry pan and into the fire. At first it appears a simple solution to fix a tax problem but practices need to ask more questions from their advisers. In this broadcast we explain what are the pro’s and con’s. Generally we are strongly opposed to these arrangements. There are some more questions you will need to ask your advisers. As time is running out we are advising any final decision should be made weeks before 1st July 2006 as the practice will need time to establish or modify existing structures and systems. 1. What is a practice entity, trust, company or partnership? 2.A Practice Trust or Company increases exposure to medico-legal risk claims– fails the sleep test! 4. Tax office – Doctors have lost court cases. It prevents succession planning! Practice Trusts (Company) – Is this a real alternative? Some advisers have been recommending for group practice owners to set up a practice trust, practice company or a partnership of trusts to run practices where the practice is a business. This is in contrast to an individual provider remaining as a business in its own right and contracting practice management services from a service trust. The attached Legal & Taxation Structure Options illustrates a Traditional Associateship and a Service Trust versus a Practice Trust for a group practice. The Practice Trust or Company has been widely promoted as an alternative and simpler solution to a service trust as mentioned in our last news alert. Furthermore, such arrangements would effectively mean practitioner’s would never declare income in their own name, as 100% of the income could be income split to family members or a corporate beneficiary. The bottom line is such an arrangement would mean a doctor could bill $1m p.a. and would not show any income on their personal tax return. On paper they would be seen to be so poor they could qualify for Centrelink low income earner family tax benefit payments for life! Sounds too good to be true? The Tax Office and the High Courts have already ruled against such arrangements in most situations. 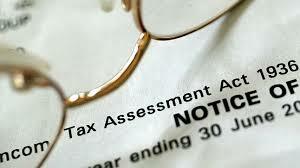 We will explore the problems with the exemption the Tax Office has offered. 2. 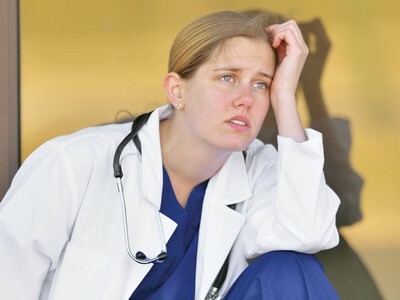 A Practice Trust increases exposure to medico-legal risk claims – fails the sleep test! take a taxation point of view only. A thorough examination of your structure and arrangements usually requires reading ones professional indemnity insurance policy and practice agreements to end up with a correct appreciation of the most appropriate solution for you. Unfortunately the Practice Trust/Company structure encourages practices to employ and engage all providers and all owners under the one name. This will make the owners joint and severally liable for selling all medical services to patients provided by partners, employees and contractors. Normally most providers wish to avoid this outcome. For legal purposes, the practice and not the provider becomes the “primary” defendant in a claim and not the individual treating provider. The attached Legal & Taxation Structure Options illustrates the two types of structures and this point. The patient now has a legal contract with the practice see option B ) and not the treating provider see option A Legal & Taxation Structure Options. The owners become vicariously liable for any malpractice mistakes from other providers and professional indemnity insurers specifically exclude employees, contractors, partners and directors from coverage (or they charge higher premiums for such arrangements). Furthermore, if a provider is not with the same insurer then your policy will fail. It is not practical to assume every practitioner will be with the same insurer. This can become a recruitment negative if practices force a provider to join a certain insurer. The traditional associateship service trust model demonstrated in option A mitigates the problems that arise from using a practice trust or a single practice entity. What one saves on income tax and administration costs is far outweighed by running a medico-legal structure that encourages the co-joining of malpractice claims. After all it only takes one claim without appropriate cover to lose your hard earned “nest egg” because of someone else’s mistake. Incidentally, it is interesting to note the corporate medical practices operate in a similar manner as detailed in Option A see Legal & Taxation Structure Options. 4. Tax office – Doctors have lost similar Court cases and it prevents succession planning! A number of Federal and High Court cases (High Court of Australia in C. of T. v. Gulland, Watson v. FCT and Pincus v. FCT 85 ATC 4765 : 17 ATR 1 (the doctors’ cases), Tupicoff v. FCT 84 ATC 4851 : 15 ATR 1262.) have struck these practice trust arrangements down as tax avoidance, unlike the Phillips case that found in favour of the taxpayer’s service trust arrangement in the Federal Court. Which begs the question; why recommend it at all? There may be one non court tested exemption unlike service trusts (See below: “There may be one exemption but it’s risky!”). The Doctors’ Cases – struck down practice entities (e.g. trust) by the Courts Tax Ruling 2330 specifically dealt with two doctor cases called the “Doctors Cases” The facts in the doctors’ cases were substantially the same. Each case involved a medical practitioner who had conducted a medical practice either alone or in partnership. The medical practitioner established a unit trust in which the units were held by the trustee of his family trust. The trustee of the unit trust acquired the medical practice and thereafter employed the medical practitioner on an agreed salary. As a result of the arrangements fees which would otherwise have been paid directly to the medical practitioner or to the partnership were paid to the unit trust. The trustee of the unit trust paid the medical practitioner an agreed salary and was then in a position to distribute the remainder to unitholders, i.e. effectively to the families of the medical practitioner. The arrangements had the effect of splitting with family members the income upon which the medical practitioners might otherwise have been liable to tax with a consequent reduction in the amount of tax payable. By majority the High Court held that section 260 operated to render the arrangements void for income tax purposes. The majority found that the arrangements were not capable of explanation by reference to ordinary business or family dealing without necessarily being labelled as a means to avoid tax, i.e. avoidance of tax was an essential feature of the arrangements. THERE MAY BE ONE EXEMPTION…BUT IT’S RISKY! Tax Ruling 2639 expresses its dislike for such arrangements, however it offers one limited exemption which is worth noting, which is stated below. Income from the business structure can be income split. The following is a quote from the Tax Ruling 2503.
business structure (and therefore does not fall within the scope of IT 2503). business structure, it will not fall within the scope of IT 2503.
function is to derive material fees for the practice. Part-time staff count proportionately. not “practitioners” unless they earn material fees in their own right. practice, whether directly or indirectly. c. “Non-principal practitioners” are those practitioners who are not “principal practitioners”. Simply, you have to make sure there are more non-owners than owners that work in your practice trust who bill fee for service. A practice trust may be an option for a solo practitioner, however we believe it is a risky option given the legal precedence already made against doctors in Australia. 1. The real problem for group owner principals wishing to use a Practice Trust is once they start admitting more owners then they may be in breach of the Tax Ruling. Ultimately this strategy is not in the interest of owners who are trying secure their workforce by admitting more owners and less employees. We recommend the ownership strategy to solve the retention problem as employee and contract doctors can give two weeks notice, owners cannot, which secures the practices future.” The medico-legal implications and succession planning benefits far exceed the additional costs for running a service trust. 2. Out of the frying pan and into the fire! If a practice trust or company is your only alternative this will make your business case with the Tax Office harder to prove that it is a legitimate structure not biased towards tax avoidance, as it offers less in asset protection and nothing in succession planning, which leaves the tax benefit the main reason and worst reason for entering into such an arrangement. This would make the practice a prime candidate for a successful tax audit. 3. Your advisers may feel a little outside their depth. If they are, contact us for specialist expertise in this area. If you require service and practice agreements or require more information about what margins and service fees your practice should be charging. Call us on 1800 077 222 or email David Dahm at pa@healthandlife.com.au. Next postCan you trust your doctor?